Winter skating on the River Doubs, which marks the frontier between France and Switzerland, is a common seasonal pastime in the Jura region. As Switzerland and France are both party to the Schengen Agreement, this is a classic "soft" border, one which people can freely move across without let or hindrance. Europe has no shortage of fabulous ice rinks, but one of the most unusual lies in the hills of the Jura region where France meets Switzerland. The River Doubs has cut a deep trench through the hills. In some places, this has the proportions of a rocky gorge. Elsewhere, where the chasm is a little wider, the River Doubs still often fills the entire valley, and the landscape resembles that of a Norwegian fjord. 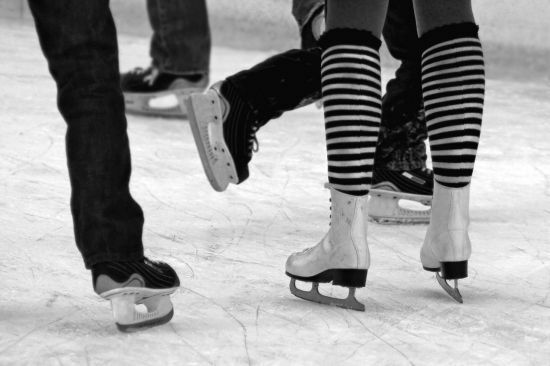 In cold winters, the waters freeze, such that skaters can follow the frozen river for a score of kilometres or more. On such occasions, sections of the Doubs Valley are transformed, especially at weekends, into a great outdoor playground as children and adults skate on the frozen river. 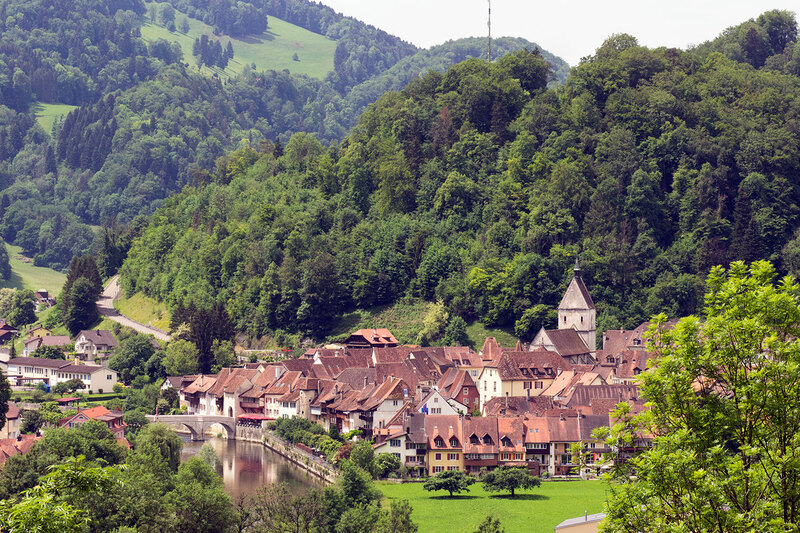 For most of its course, the river marks the international frontier, but as Switzerland and France are both party to the Schengen Agreement, one can roam freely without let or hindrance. Here, on the River Doubs, is a European ideal at play. The frontier is frictionless - the ultimate 'soft' border. Winter skating on the River Doubs is part of the regional identity of the Jura region. It is as much a part of Jura tradition as tête de moine cheese, saucisse d'Ajoie and the local plum-based damassine liqueur. At one point the Doubs widens into a lake, which is known as lac des Brenets by the Swiss. The French on the other bank of the river favour the name lac de Chaillexon. When it freezes in winter, as it often does, this lake is transformed into Europe's largest ice rink. In the past, the frozen lake would attract more than those looking for thrills and spills on the ice. Peddlars would gather on the ice for an impromptu market, selling all manner of food and other goods. While the authorities might have been inclined to move on unlicensed traders who gathered in villages on either the French or the Swiss side of the Doubs, they were more reluctant to intervene when the business was being conducted mid-river. It is one of those delightful ambiguities associated with borders which run through rivers and lakes - and, in this case, it is a border between an EU state and a non-EU country. But of course both France and Switzerland have very definitely played the European game of integration. Can the soft border of the Jura be replicated in Ireland? The challenge on these chill winter days is to secure a future for Northern Ireland where people can move unhampered between the six counties of the North and the Republic with all the same freedoms that one sees so colourfully performed in the ice games on the River Doubs. The essence of the frontier in a civilised world is to smooth mobility, not to constrain it.